Newly released by Severin is that most long awaited Eurocult DVD – Inglorious Bastards, unquestionably the most over-the-top and enjoyable war film ever made. With a three disc edition, Severin have really pulled out all of the stops for what is, so far, the best DVD of the year. See the full review for more details and then go buy this DVD! 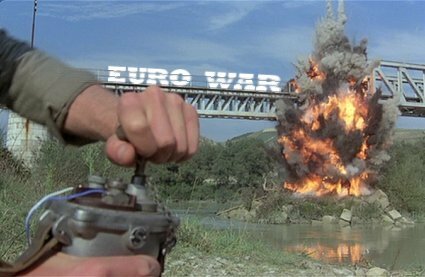 The Eurowar film was one of the more minor Eurocult genres and is very poorly served on DVD. Since a lot of people are likely to be hungry for more I thought I’d also take a look at the only other non-PD Eurowar DVD to be released in the US, the Wild East double bill of Churchill’s Leopards and Salt in the Wound – neither is sadly an all out action-fest like Bastards but both are pretty enjoyable and for the right price this two-fer is worth picking up. Born in Wales in 1928, Stanley Baker grew up to become one of Britain’s best loved actors but his career declined and he died tragically young in 1976. 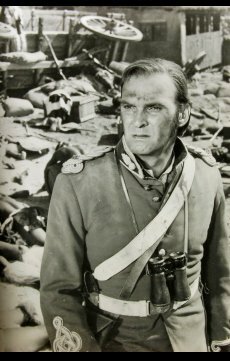 We pay tribute this week to this most manly of British actors with a complete new Stanley Baker biography which includes four new film and DVD reviews. This includes Robbery (1967) – produced by and starring Baker, retelling the story of the Great Train Robbery. It is released next Monday in the UK by Optimum, the first DVD release of the film. We’ve got a first peak at the good quality (but sadly open-matte) release. You are currently browsing the Mondo Esoterica – Blog blog archives for July, 2008.